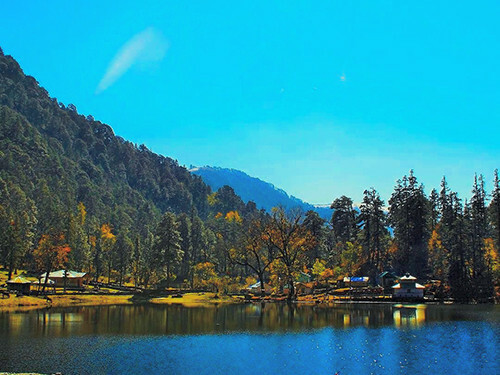 Rajesh Panwar - The Native Himalayas. RECOMMEND Me Now. Rajesh is an expert and he is amazing at what he is doing. Wonderful experience. Great hospitality and management. Tents are clean and properly managed. Food is delicious. Trekking with Rajesh Bhaiya and crew was an amazing experience. Worth of every penny!!!! I highly appreciate and recommend taking a trip with Rajesh Bhaiya. Rajesh is a very professional guide and knows the trek route very thoroughly. He guided our group of 60 participants through 3-4 feet snow and also helped in arranging a stay in Barsu village, trekking equipments on rent, cook and kitchen materials. Rajesh had organised the whole trek with minutest details. He is humble, punctual and caring. The food & stay arrangements were very good. I would use his services for other treks also. And will also recommend him. He is friendly and broad minded. He arranged everything for a comfortable trek for the whole period. We stayed for 2 nights in his rest house. It was very comfortable one, keeping in mind it's in Agora. He arranged nice food during the trek, I never expected it to be so good. We had various cuisines ranging from Maggie to gulab jamun. We had local dishes like Dalia, gulab jelly, etc. Rajesh has been trekking for more than a decade. His first one being Nanda devi in 2005, thats what got him to become a trekking guide. His favorite treks are Dodital and Dayara Bugyal. He has done these treks countless times! His favorite peak is the Draupadi ka danda 2 (DKD-2), which he had summited during his Advanced mountaineering course in 2013. Rajesh says he also likes trekking because it gets him to meet new people, make new friends as well as keeps him physically fit. "We should not pollute the mountains .... I pick plastic waste if I see ..."
"In Kedartal there was so much plastic … we brought 2-3 kgs of plastic from there." "Most of the trekkers are aware and do not throw things." Rajesh did his schooling in Agora high school. He fondly remembers playing cricket in his village as a kid. His village is on a mountain slope and there is not much of flat ground. Farming is done by the villagers in whatever little flat ground is available. He recalls, the cricket rules, when a sixer used to be when a batsmen would hit the ball above 4 fields. A four would be when the ball went above 2 fields. He recalls himself to be a sincere student, who used to also study while walking to school. His favorite subject used to be English because the English teacher used to teach like a friend. 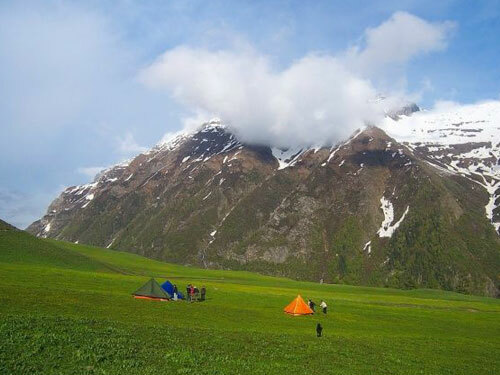 Village Agora is on the route of Dodital trek. So when a few of Rajesh's guests visited him, they suggested to make his home a guest house. He took their advise and now runs a guest house as well. Rajesh has done a first aid course from Mussorie. Rajesh can also arrange for bird watching trips, he says we can sight 'Monal' the Uttarakhand state bird on the Dodital trek. Rajesh says its a great time to visit his village in December during a festival called 'Pandav Nritya', i.e the Pandavas Dance, the festival happens to chase away the bad spirits from the village. It's a 5 day festival, with the last day being the most fun, when they have a big fire burning the whole night along with singing and dancing. Also between July to August they have a flower festival in the village, when flowers of different varieties and from different mountain peaks are brought to the village and offered to the village temple. Rajesh and his guest house is mentioned in this blog.